People working in central London can save an average of £483,342 by commuting up to an hour each day because of the high cost of homes in the capital, new research has found. Those willing to make the longer commute could pay 60% less for a property while a 40 minute commute could save £375,114 and a some minute commute some £295,075. The research by Lloyds Bank shows that house prices in a number of towns around an hour’s train journey away from London, including Basingstoke, Crawley, Gravesend, Windsor and Northampton, are on average around £325,091, some £483,342 lower than the average of £808,434 for a property within travelcard zones 1 and 2. Prices in these locations are also significantly lower, at £202,424 or 38%, than the average property price in zones 3 to 6 and the difference between house prices for commuters travelling approximately 60 minutes would pay for the current annual rail cost at £5,381 for 90 years. Buyers looking for a home in towns approximately 40 minutes away, such as Billericay, Hatfield, Staines and Woking, will pay an average price of £433,320 which is still £375,114 or 46% lower than in zones 1 and 2 and with a lower average annual rail pass costing £3,775. Even at up to 20 minutes distance away from the heart of London, commuters from towns such as New Cross and East Croydon benefit from an average house price £295,075 lower than in central London. However, some areas, such as Beaconsfield command a higher price tag than central London. Average prices in Beaconsfield are £1,025,699 compared to the average price house price of £808,434 in central London, a difference of £217,265. Other areas where prices are higher than in central London include Gerrards Cross with an average of £917,585, Harpenden at £813,298 and Wimbledon at £814,420. ‘Buying a home in central London is out of reach for many where house prices are around 16 times the average UK wage. In almost all towns in this survey, housing affordability is significantly greater with a London salary compared to what can be earned locally and for commuters with up to an hour’s journey, the reward is an annual salary that is, on average, £8,600 or 18% higher than what they could earn in their local neighbourhood which is around £40,000,’ said Andrew Mason, mortgages director at Lloyds Bank. 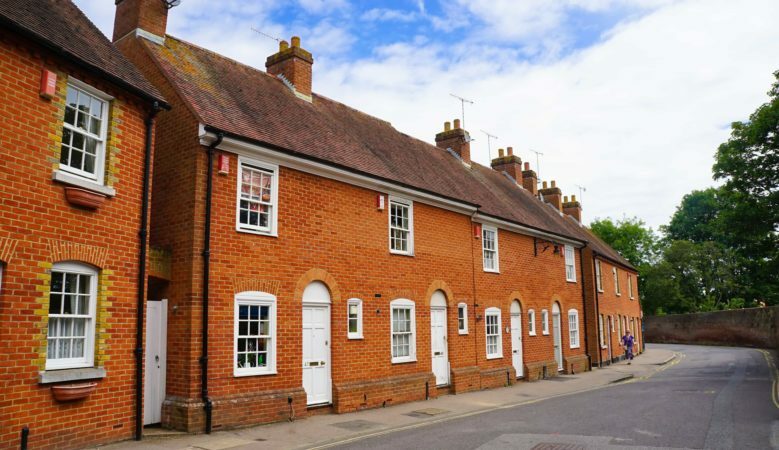 ‘Although many commuter towns offer affordable properties, but with longer and more expensive journeys, the decision to commute is not simply a trade-off between financial costs and journey times. Quality of life is an important consideration. Family circumstances, schools, physical environment and value for money all come into the balance,’ he added. Among the most affordable commuter towns outside of London is Wellingborough in Northamptonshire with an average house price of £212,367, some 4.4 times average annual earnings in central London compared to 6.1 times the average wage for those working within the town. The next most affordable is Peterborough in Cambridgeshire, with an average house price of £218,713, some 4.5 times central London average annual earnings, followed closely by Kettering in Northamptonshire at £223,725 and 4.6 the central London average. Luton is the most affordable town with the fastest commute to central London at 30 minutes, with an average house price of £261,725 which is 5.4 times the average earnings. Commuters in the 10 most affordable towns are earning, on average, £12,609 more than they would in their place of residence.